Tea is my coffee. I barely function when I miss my morning tea. When I do, I’m like a drowsy little pug going through the motions, struggling through with my brain half-asleep. 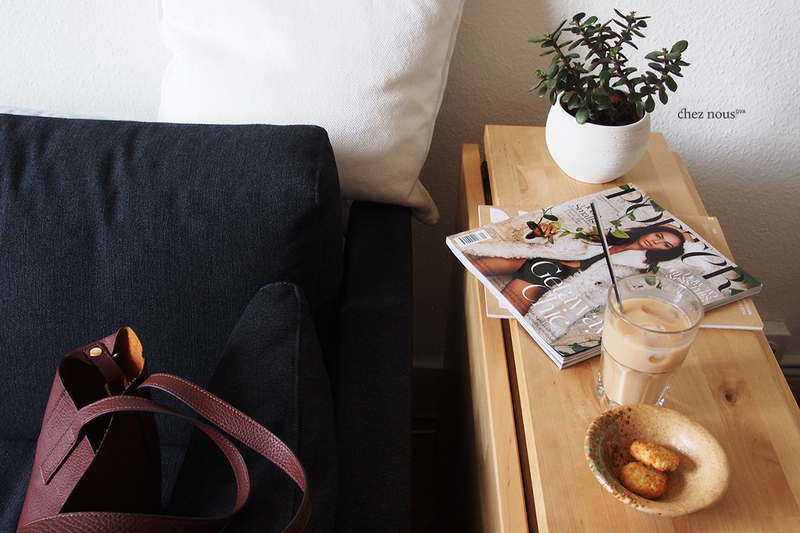 Life is hard without caffeine, isn’t it? I like my occasional coffee, but tea, that’s where my heart is and what my body craves for. Tea is the second most consumed drink in the world after water. 18 per cent of which is from green tea, and 80 per cent from black tea. And we have heard of its richness in antioxidants, especially green tea, right? So it just makes sense why it’s the world’s second most loved drink. Yesterday’s free & hot day (free because it was a holiday, and hot because, well, 38°!) called for a homemade milk tea. 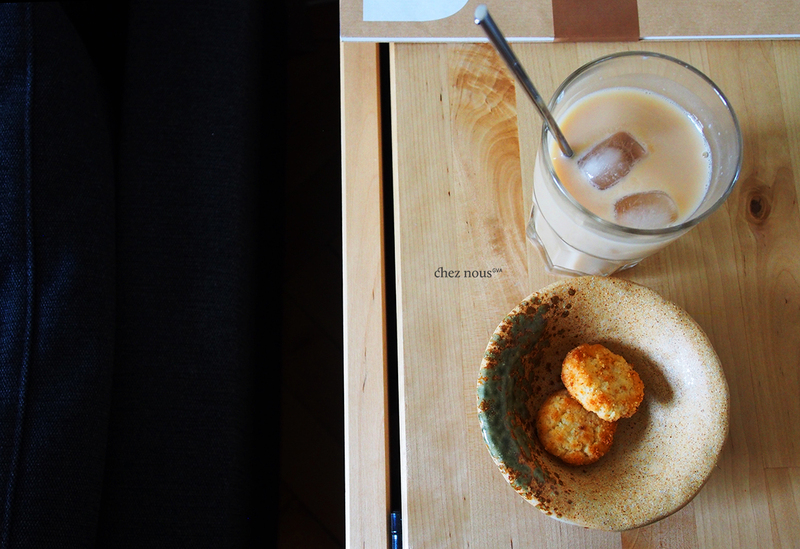 Traditional Asian milk tea is one of my favorites, especially during hot days. It’s so refreshing, yet rich and creamy. Gives me that jolt of caffeine with that sweet tooth satisfaction. 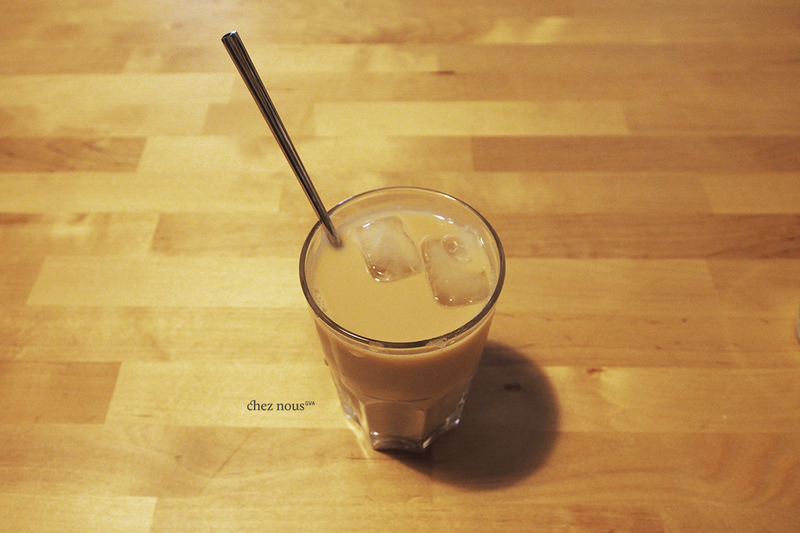 It usually varies in tea and milk proportions, but it normally is very sweet. I love the condensed milk component – which is good for the taste buds but not so much for the rest of the body. So the chez nous kitchen tried out a healthier and lighter version. 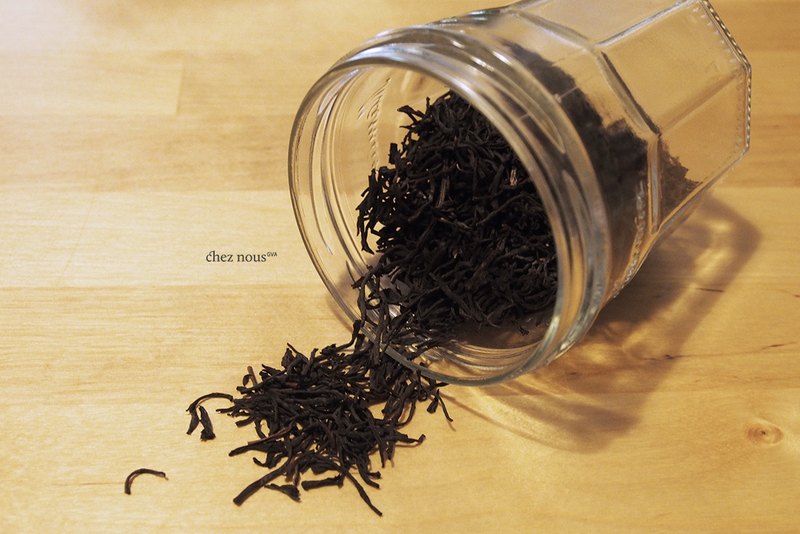 This English breakfast tea we used is light with malty and oaky undertones. I think we’ll use a stronger and more full-bodied black tea like Assam next time. Asian milk tea vendors tend to mix different kinds of tea as well giving a very rich tea flavor, so that’s definitely something to try out too! Steep the black tea for 5 minutes or more. 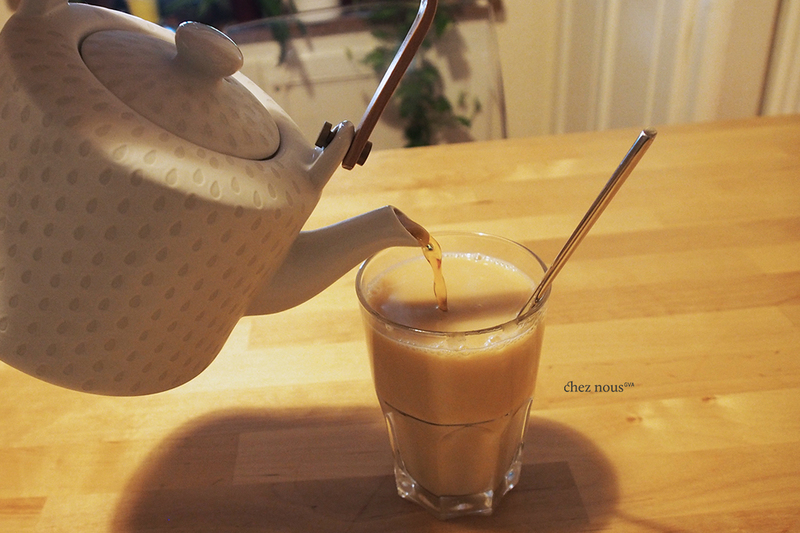 Here, we steeped an entire teapot of English breakfast and kept it half a day before using for the milk tea. Depending on the tea leaves you are using, the steeping time may vary and may or may not affect the taste of your tea. It’s good to try it out to know if the flavor does get stronger and fuller, or if it dilutes or goes too bitter. In a glass, mix the soy milk and almond milk. Add the honey and stir till it’s completely dissolved. Pour in the black tea until the glass is almost full. 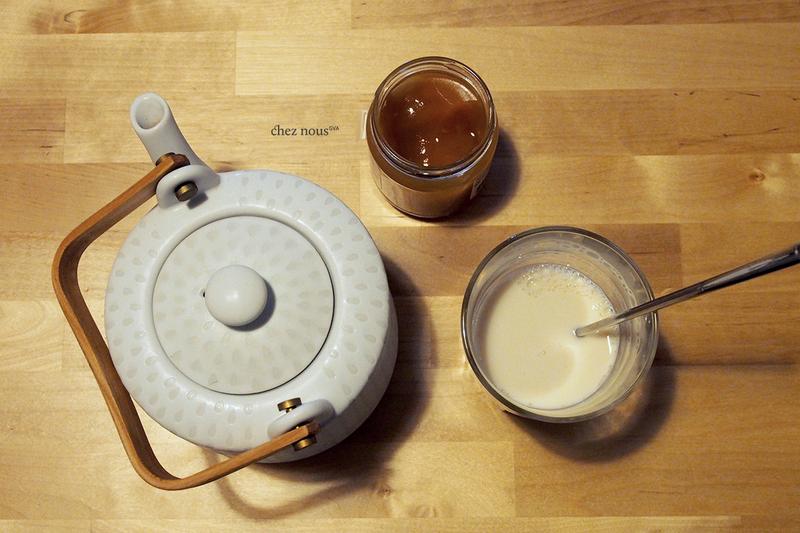 You can add a tsp or 2 of maple syrup if you prefer your milk tea on the sweet side. Finally, drop in 2 ice cubes and voila!